Mao cha is traditionally ‘rinsed’ before being steeped. Use additional, appropriately-heated water for the 1st steeping and subsequent re-steepings. For best enjoyment, this tea should be steeped ‘short’ or Asian-style. Manzhuan is one of the historic Six Tea Mountains of Xishuangbanna located north of the Lincang River, and has been producing Pu-erh since the mid-1700’s. Pu-erh from the Manzhuan tea harvesting area is plucked from tea plants that have grown to natural tree height. This area is near the Yi Wu tea harvest area, but the teas from Manzhuang are made from a large-leaf variety arbor tea tree and are more powerful in taste. This place produces tea from genetically unique varieties of old tea trees that have been growing here for the past 300 years. Some of these cultivars are unique to this area and some are descended from Camellia assamica. While this area contains many newly planted tea gardens, our loose-leaf Manzhuan sheng Pu-erh comes from arbor trees that are between 300 and 400 years old. These tea trees are tended by people living in nearby villages (fewer than 30 families live in each village) who also harvest and process the fresh leaves. The people doing this today are most likely descendants of those who came before in the nearly 300 years of tea-growing history on this mountain. 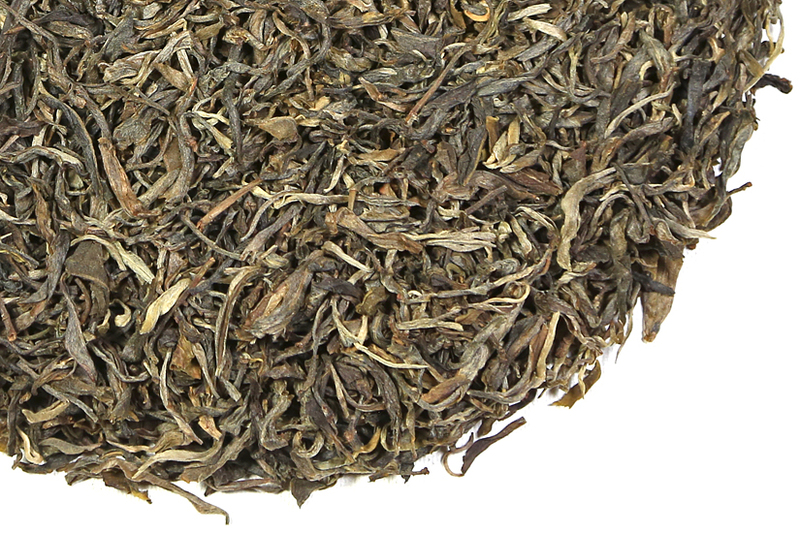 Manzhuan area teas are known for their special thick aroma and a taste that with age becomes stronger and more textured. When brewed, you will notice the tea liquor is clear pale amber in color. The aroma is herbaceous and clean with a touch of cannibis lingering in the background. The taste is strong but sweet, penetrating and full in the mouth. The flavor has complexity and a strong and lingering after-taste (huigan). With storage and age, this tea will turn into something powerful. 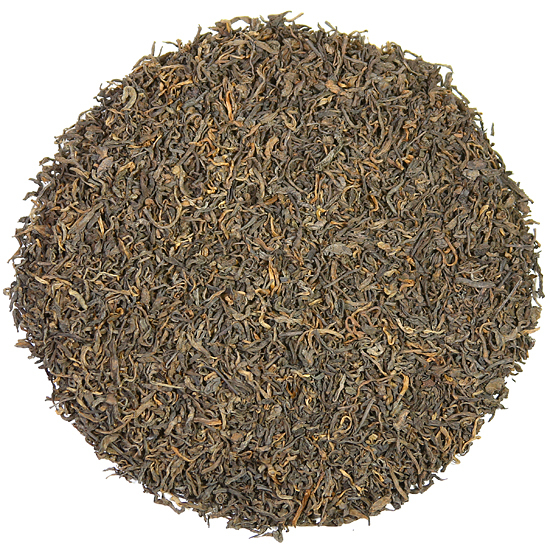 Sheng Pu-erh is also known as ‘un-cooked’ or ‘raw’ Pu-erh. 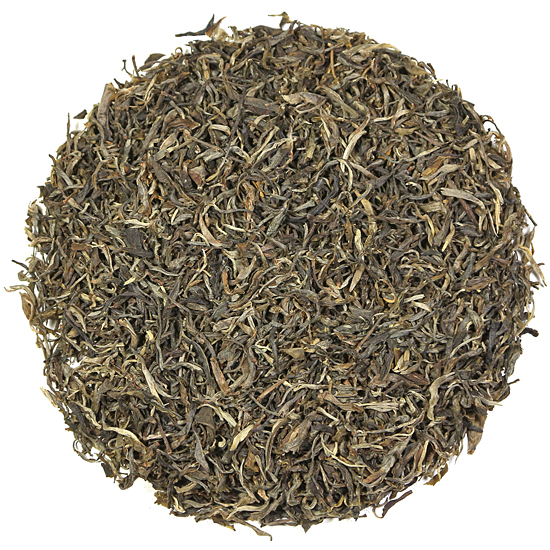 It is the non-fermented version of Pu-erh. Sheng Pu-erh is non-fermented when young but microbial activity on the leaf will allow the tea to slowly ferment over time when the tea is kept under good storage conditions. Sheng Pu-erh can be drunk now or stored for years to allow a slow microbial transformation of the tea into something rich and full. Similar to young French wines that will, over time, transform into much more substantial wines, Sheng Pu-erh is prized by collectors and tea enthusiasts for this ability to age and improve over time.